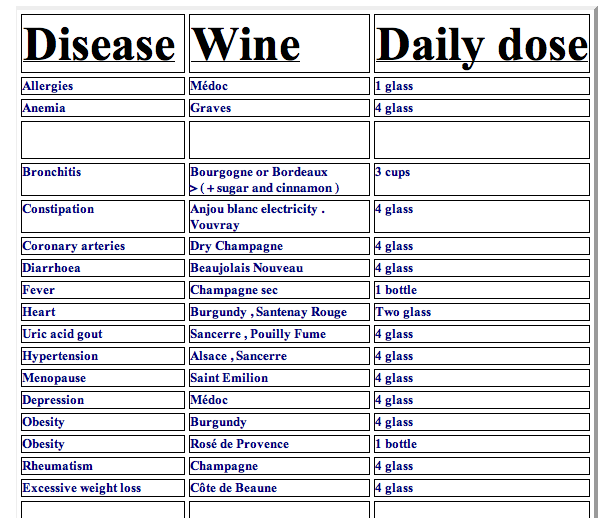 My Kind of Medicine – Wine! Saw this chart – not sure where – and thought it may be a heck of a lot better than most of the prescription in the medicine cabinet. I don’t know you but I am starting to think we are an over medicated nation sometimes. I mean – it is wonderful that we have discovered ways to relieve and cure so many things but the way pills are prescribed for anything and everything kind of makes me wonder. So maybe it is better to try this for what ails you next time! Well – Did You Squat Today? I’m going to follow up on you now. Come on – it is really easy to do some simple squats and get moving and stay loose. Let me know if you got going this week yet or not! You’ve heard it – read it and been bombarded with it at every turn from the TV to the Kids. Got stay fit and gotta exercise. But it really is true. If you’re not moving you are dying. I think the problem with a lot of this exercise mumbo jumbo is they make it too complicated. You really only have to do a few things. Plus you can work up to more and more…no matter your age or weight. The first part, of course, is setting your mind to it. We’ll talk about that another time. Right now I want to share what I think is the easiest and perhaps most beneficial exercise of all after walking. Granted – that’s not an attractive name but it is so simple and so powerful. You don’t need any extra room, there’s no equipment and it is so easy to measure progress – even a forgetful old person can do it! I do them everyday and just count out sets of 10 each for a total of 5 sets…or 50 squats these days. On my good days I will hold a book or two and the added weight pushes me a little further – and that’s a good thing! Check out an easy squat instruction piece just in case you want some extra tip or two on how to! Start today with just 1. Rest and then do 2. Then 3 and work up to 10. Come on – go for it! Now – for some of you this may be over your head technical wise but I bet for most you know what this is all about. I thought this was so funny because I have always taken pride in my ability to keep up with and use the latest technology advancements. 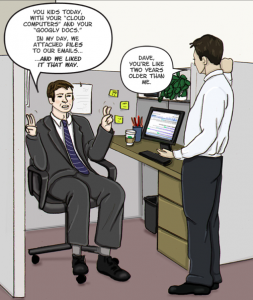 But even I can’t really stand Google Docs or as they say here “Googly Docs”. If you don’t know these are you can read about them here but let me just say they are buggy little bugger take offs on popular microsoft programs like Word and Excel. They are kind of neat becasue they let you share data in “real time” vs sending attachments back and forth but they are sometimes hard to load and don’t support many common features. Sorry if it doesn’t. But I am sure some of you will get this…I especially like the reference to being 2 years older. Really talks to how fast technology is changing these days!